FreeBSD and Apache on a $5/month DigitalOcean Droplet VPS – Dale Scott, P.Eng. 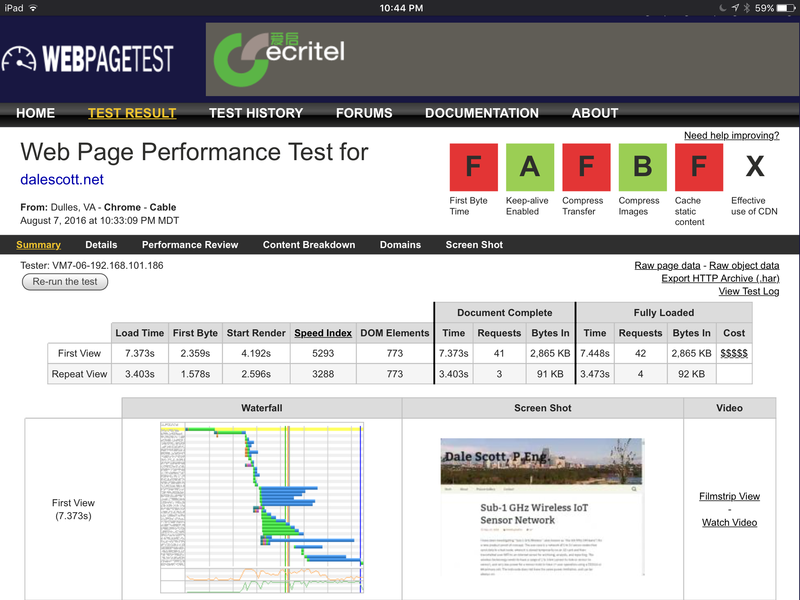 WebPageTest, created by AOL for internal use before being open-sourced and now primarily developed and supported by Google. There are more, but these will be enough to get started with. I had wanted to include Blitz.io, which was referenced in a blog post by Ryan Frankell on using Apache on a small DigitalOcean droplet . However, I couldn’t find any free evaluation capability, and Blitz’s demo is hard-coded to use a Blitz demo site, which eliminated Blitz from consideration. The first step was to tune Apache. 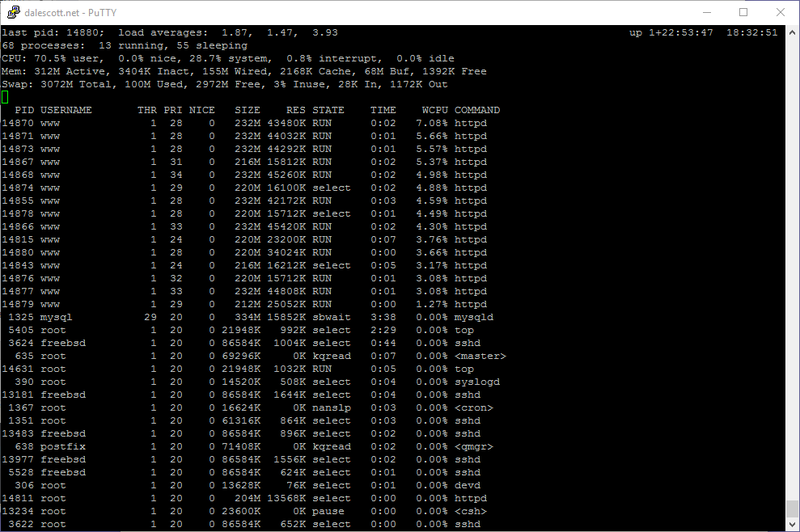 512MB of RAM is low by server standards and also Apache’s default configuration. Some tuning is needed to keep Apache operating in the available RAM, otherwise Apache will gradually consume everything, including swap, and eventually the kernel will start thrashing. The FreeBSD apache24 port already sets these as defaults in /usr/local/etc/apache24/extra/httpd-default.conf (the default MaxKeepAliveRequests is even lower than the recommended 200). Although Event is reportedly the default MPM in Apache 2.4, Prefork is still the default on FreeBSD 10.x for compatibility with non-thread-safe php/perl/python modules. MaxRequestWorkers and MaxConnectionsPerChild must be lowered in /usr/local/etc/apache24/extra/httpd-mpm.conf, and the Include line for httpd-mpm.conf in usr/local/etc/apache24/httpd.conf must be un-commented (and Apache restarted). I first used the free no-login-required test, which loads 25 Virtual Users in 5 minutes, but by creating a free login profile you are allowed 5 (QTY)-five minute tests (executions) up to 100 VUs per month. Here are the results of the Load Impact test with Apache tuned, showing load times in the low seconds for up to 15 users. This can likely be further improved, but the server is stable and adequate for the expected amount of traffic. 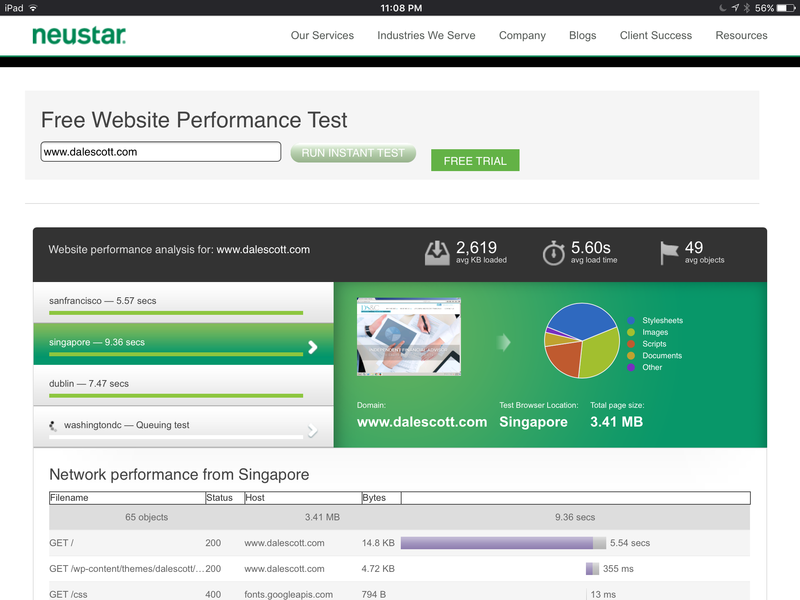 Neustar queued three servers for testing, but the Washington server never ran. Here are the results when I gave up waiting. WebPageTest concentrates on measuring how fast it takes a page to load, and gives lots of information for digging into the load times for each aspect of the page. I was looking for more of a general load or stress test to see if my server will fail under load, but the information can be valuable none the less. Here are the result of top while the Load Impact no-login (20 VU) test is running. Although the server can by no means be considered fast, it also is not exhausting swap and stalling. I’m pleased for now, and will be back to review when time permits. Pingback: dalescott.net moves to the cloud! | Dale Scott, P.Eng. 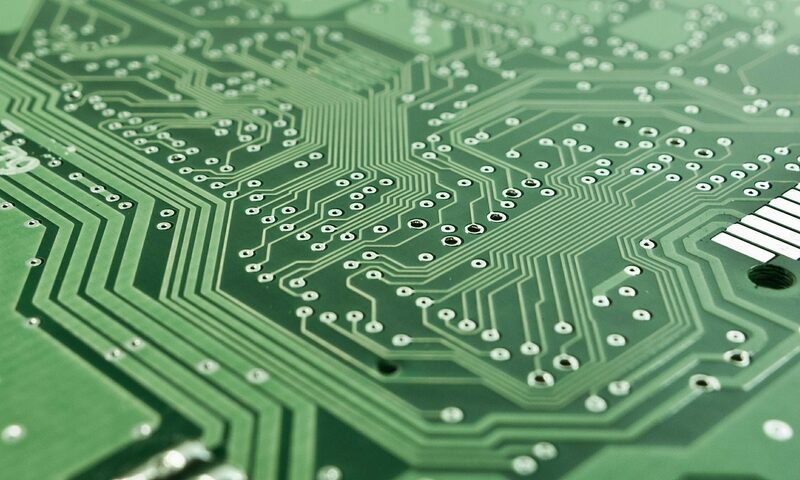 Pingback: Load Testing a Home Internet Server | Dale Scott, P.Eng. Next PostNext dalescott.net moves to the cloud!